How safe are European airlines?...Are 'low-cost' airlines less safe? D�SSELDORF, Germany - An official who knows about the audio recordings from the recovered cockpit voice recorder of the Germanwings flight that slammed into the Alps said Thursday one of the pilots was apparently locked out of the cockpit when the plane went down. The official, who was not authorized to speak publicly about the ongoing investigation, told the Associated Press that this important detail was gleaned from studying data from the plane's cockpit voice recorder, which was damaged, but recovered by emergency responders Wednesday. Lufthansa, the parent company of Germanwings, would not confirm nor deny the reports, the AP reported. The New York Times quoted an unidentified investigator Thursday as saying the audio depicts someone knocking with increasing urgency - and force - on the cockpit door. The Times quoted the source as saying: "And then he hits the door stronger and no answer. There is never an answer." Lufthansa would only say that the plane's co-pilot joined Greenwings in September 2013, directly after training, and had flown 630 hours. The captain of the plane had more than 6,000 hours of flying time and had been a Germanwings pilot since May 2014, having previously flown for Lufthansa and Condor, Lufthansa said, according to the AP. An Airbus training video shows that the cockpit door of the doomed A320 plane has safeguards in case one pilot becomes incapacitated inside, while the other remains outside, or if both pilots inside were to lose consciousness. To get into the cockpit, one normally needs to request access and aross a camera feed or through a peephole, the pilot decides whether to let the person in. If there is no response, a member of the flight crew can tap in an emergency code, however, again requesting access. If there is still no response, the door opens automatically. If a person has been denied access, the door remains locked for five minutes, according to the training video. The leaders of France, Germany and Spain all traveled to an Alpine pasture near the crash site Wednesday, which is now being used as a base for experts seeking to unravel why the German Airbus A320 abruptly dropped from its flight path with 150 people aboard. No survivors are expected from the pulverized aircraft. The three European leaders, walking side by side, were briefed on the grim recovery efforts in the snow-bound French mountains and the struggle to learn what went wrong in Tuesday's disaster. The flight, en route from Spain to Germany, was carrying 144 passengers and six crew members. The State Department said three Americans were presumed dead, including Yvonne Selke and daughter Emily Selke, both from Nokesville, Va. The third American was not identified. The other victims of the crash were mainly from Germany and Spain. Hours earlier, one of the flight recorders - or black boxes - was recovered in a damaged state amid the wide debris field. The A320, operated by the budget carrier Germanwings, slammed into a frozen ridge near the southern French town of Seynes-les-Alpes. Remi Jouty, director of the French aviation investigative agency, said the audio included sounds and voices. He said it was too early to draw any conclusions from the recorder. French President Fran�ois Hollande, meanwhile, said the case for the second black box, the flight data recorder, had been found but not its contents, according to the AP. French Interior Minister Bernard Cazeneuve told France's RTL radio that all theories about what might have caused the crash must be explored but that a terrorist attack was not the most likely scenario. Bundled against strong winds, Hollande thanked the teams leading the efforts to reach the crash site by helicopter and by foot. Hollande was accompanied by German Chancellor Angela Merkel and Spanish Prime Minister Mariano Rajoy. Meanwhile, the human toll from the crash came clearer. Those lost included two babies, two opera singers, a pair of Iranian journalists, an Australian mother and her adult son vacationing together, and 16 German 10th-graders and their teachers returning from an exchange trip. In Washington, State Department spokeswoman Jen Psaki confirmed that two U.S. citizens were aboard the flight, but she did not give their names or other details. Raymond Selke confirmed to The Washington Post that his wife and daughter were killed in the crash. "We are in contact with family members and we extend our deepest condolences to the families and loved ones of the 150 people on board," Psaki said in a statement. She said U.S. officials were reviewing records to check whether other Americans were on the flight as the recovery for bodies began. "The site is a picture of horror. The grief of the families and friends is immeasurable," German Foreign Minister Frank-Walter Steinmeier said after being flown over the crash scene. "We must now stand together. We are united in our grief." The flight by Germanwings, the low-cost arm of the German carrier Lufthansa, had left Barcelona en route to D�sseldorf nearly 30 minutes late for reasons that remained unexplained. It traveled on a normal flight path before suddenly shifting into a steep descent moments after reaching its cruising altitude of 38,000 feet. The pilots, French officials said, had not signaled air traffic control immediately before or during their sudden descent. The plane then crashed into rugged mountain terrain near the French ski resort of Prads-Haute-Bleon, where rescue workers and officials described a tableau of pulverized devastation. Debris seemed "so small and shiny they appear like patches of snow on the mountainside," said Pierre-Henry Brandet, a spokesman for France's Interior Ministry, after flying over the site. Lufthansa CEO Carsten Spohr told the German public TV network ARD that Tuesday was the "blackest day in our company's history." German Foreign Ministry spokesman Martin Sch�fer said the full breakdown on the passengers' nationalities was still being compiled, but it was estimated that half were German citizens. Passengers from Spain accounted for dozens of others. The disaster put a new focus on the A320, a workhorse of the skies that has now been at the center of a dozen fatal accidents since 1988. Aerial photos showed debris scattered across a five-acre expanse of frigid outcroppings. At least 10 coroners from Marseille traveled to the town of Seyne-les-Alpes to receive the bodies of victims. The Airbus A320 enjoys a track record as one of the safest jets in the skies. For every 1 million takeoffs, the A320 fleet has about 0.14 fatal accidents, according to a Boeing study that analyzed five decades of air disasters. That puts the A320 on par with the Boeing 777 as one of the most reliable commercial planes. Yet the crash Tuesday follows a number of high-profile A320 crashes, including the loss in December of an AirAsia jet in the Java Sea that killed 162 passengers and crew members during severe thunderstorms. Weather, however, was reported to have been clear and calm in the vicinity of the flight Tuesday. Responding to German media speculation that a computer glitch could have forced the plane into a steep dive, airline officials said they thought that had not caused the crash and that the A320's computer systems were fully updated. Asked whether the airline would ground its A320s, Winkelmann said the planes have a "fabulous service record." He said the aircraft lost Tuesday flew its first flight in 1990 and was purchased by Lufthansa in 1991. It was transferred to Germanwings last year and had flown 583,000 hours across 46,700 flights. That makes it one of the older A320s but still within the average age of planes in service. 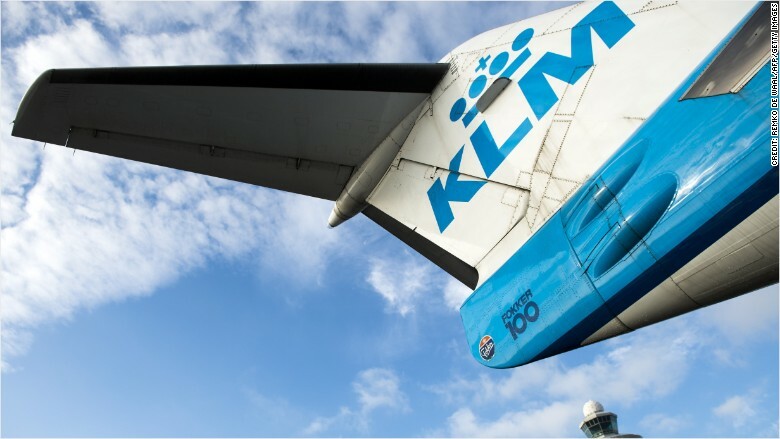 Its most recent routine maintenance check, the company said, took place Monday in D�sseldorf, with the last full inspection of the aircraft being performed in the summer of 2013. The flight's captain had more than 10 years of experience with Lufthansa and Germanwings and had logged more than 6,000 flight hours, said the CEO of Germanwings, Thomas Winkelmann. Yet aspects of the crash baffled experts. The plane's descent was sudden, but it still took eight minutes. Some experts wondered why no distress signal was sent during that period. Others countered that no mayday signal would have been likely if the pilots were busy managing a catastrophic error. More surprising for some was that the plane ran into trouble midflight. "The plane was cruising at 38,000 feet - planes don't crash in cruise," said Anthony Davis, a �London-based aviation specialist. "They crash in takeoff or landing or they have engine failure, but it's very unusual anything should happen at that altitude. The German students had been on a one-week language exchange trip in Spain. A news broadcast by ARD showed groups of students standing in the schoolyard, looking distraught and lighting candles. "These events are so terrible that we haven't processed them yet," the school's principal, Ulrich Wessel, told journalists in Haltern, urging them to respect the students' privacy. European officials said that at least 45 passengers were Spanish nationals, one was Belgian and an unknown number were Turkish. SEYNE-LES-ALPES, France (AP) -- French investigators cracked open the mangled black box of a German jet on Wednesday, hoping the cockpit recordings inside would help them unlock the mystery of what caused the plane to drop unexpectedly and smash into a rugged Alpine mountain, killing all 150 on board. 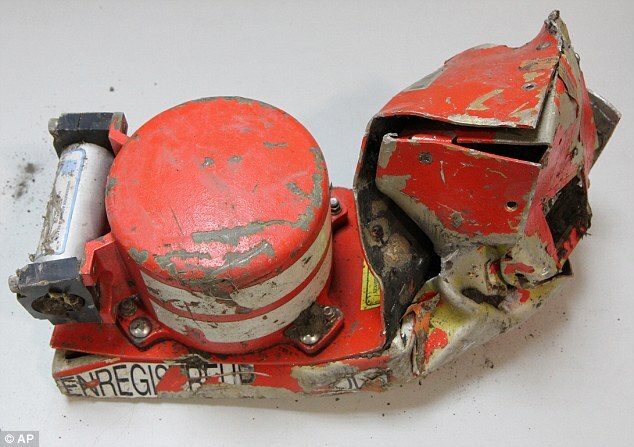 The orange cockpit voice recorder - dented, twisted and scarred by the impact - is considered the key to understanding why the Germanwings A320 lost radio contact with air traffic controllers over the southern French Alps during a routine flight Tuesday from Barcelona to Duesseldorf before crashing. French officials said terrorism appeared unlikely, and Germany's top security official said Wednesday there was no evidence of foul play. Helicopters surveying the scattered debris lifted off at daybreak to eye the craggy ravine. Emergency crews, meanwhile, traveled slowly over the steep, rocky terrain to the remote high-altitude crash site through snow and rain. The crash left pieces of wreckage "so small and shiny they appear like patches of snow on the mountainside," said Pierre-Henry Brandet, the Interior Ministry spokesman, after flying over the debris field. Investigators were zooming in on two key minutes Tuesday - 10:30-10:31 a.m. - said Segolene Royal, a top government minister whose portfolio includes transport. From then on, air traffic controllers were unable to make contact with the plane. The voice recorder takes audio feeds from four microphones within the cockpit and records all the conversations between the pilots, air traffic controllers as well as any noises in the cockpit. Photos released by France's air accident investigation agency appeared to show the cylinder that holds the memory apparently intact. The flight data recorder, which Cazeneuve said has not been retrieved yet, captures 25 hours' worth of information on the position and condition of almost every major part in a plane. German Interior Minister Thomas de Maiziere told reporters in Berlin on Wednesday that "according to the latest information there is no hard evidence that the crash was intentionally brought about by third parties." Royal and Cazeneuve also emphasized that terrorism is considered unlikely. Deborah Hersman, president and CEO of the National Safety Council and a former chair of the U.S. National Transportation Safety Board, said generally the voice recorder data can be downloaded in a matter of hours. She told NBC's "Today" show the data will offer insight into "those critical minutes and seconds leading up to the crash." "I'm absolutely confident that the investigators are going to figure out what happened," she said. Bereaved families made their way to the southern French Alps, as did the leaders of France, Germany and Spain, since most of the passengers were German and Spanish. French President Francois Hollande and German Chancellor Angela Merkel arrived by helicopters on a mountain meadow whipped by strong wind. Spanish Prime Minister Mariano Rajoy joined them at the scene in the French town of Seynes-les-Alpes. Lufthansa said two charter flights to France will be made available for family members who want to get as close as they can to the crash site. Locals in Seyne-les-Alpes offered to host the bereaved families because of a shortage of rooms to rent. "The management completely understands this because we are a small family. 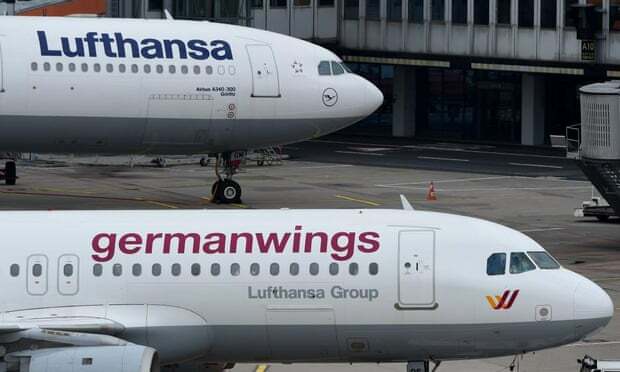 Everyone knows everybody inside Germanwings, so it is a big shock for employees," said CEO Thomas Winkelmann. He said the company had already contacted the families of 123 victims and was trying to reach relatives of the remaining 27. He said victims included 72 German citizens, 35 Spanish, two people each from Australia, Argentina, Iran, Venezuela and the U.S. and one person each from Britain, the Netherlands, Colombia, Mexico, Japan, Denmark, Belgium and Israel. Some could have dual nationalities. They included two babies, two opera singers, an Australian mother and son vacationing together, and 16 German high school students and their two teachers returning from an exchange program in Spain. "Nothing will be the way it was at our school anymore," said Ulrich Wessel, the principal of Joseph Koenig High School in the German town of Haltern. "I was asked yesterday how many students there are at the high school in Haltern, and I said 1,283 without thinking - then had to say afterward, unfortunately, 16 fewer since yesterday. And I find that so terrible," he added. Barcelona's Liceu opera house held two minutes of silence at noon to honor two German opera singers - Oleg Bryjak and Maria Radner - who took the flight after performing at the theater last weekend. In an eerie coincidence, an Air France flight from Paris to Saigon crashed close to the same spot in the French Alps in 1953, killing all 42 people on board. The crash of Germanwings Flight 9525 is the first major aviation disaster in Western Europe since 2008, and follows a spate of high-profile accidents in the past year that has clouded a period of unprecedented success in global air safety. Tuesday's crash is "a highly unusual accident, given the current state of aviation safety, and more so in Western Europe," said Harro Ranter, chief executive of the Aviation Safety Network, an industry group. It wasn't yet clear what caused the Airbus A320, en route from Barcelona to D�sseldorf, to fall from the sky over mountains in Southern France. The crowded airspace of Western Europe, like that of North America, has experienced a steady decline in fatal aviation accidents in recent years. The accident rate in Europe last year was 0.15 jet aircraft lost for every one million flights, compared with an average of 0.24 per million flights from 2009 to 2013, according to the International Air Transport Association, which represents more than 200 airlines. The Germanwings crash is the first major air disaster on French soil since July 2000, when an Air France Concorde supersonic jetliner struck debris on the runway on takeoff from Paris Charles de Gaulle Airport, causing it to crash into a nearby hotel and killing 113, including four on the ground. Authorities said it would be unlikely for anyone to have survived the latest crash, which would make it the deadliest in France since 1981, when a McDonnell Douglas MD-81 operated by Adria Airways crashed in Corsica after the crew and air-traffic controllers became disoriented, killing 173 passengers as well as seven crew. Over the past year, a series of deadly incidents involving Asian airlines caused a jump in the number of aviation-accident fatalities after years of decline, and spotlighted shortfalls in air safety in fast-growing Asia. Mr. Ranter's Aviation Safety Network, a service of the private Flight Safety Foundation that gathers information on air safety, tallied 692 fatalities in 2014, not including the 298 killed when Malaysian Airlines Flight 17 was shot down over eastern Ukraine in July. (Hijackings, sabotage and shootdowns aren't included in the network's main tracking number.) The total is up from the 265 in 2013, though below the 1,074 in 2005. Still, 2014 was the safest year on record for commercial jet aviation, with an average of one accident every 4.4 million flights, according to the International Air Transport Association. Those figures also exclude the loss of Malaysia Airlines Flight 17, but Paul Hayes of aviation consultancy Ascend said that even with that crash included it would have been a good year by historic norms. "Because accidents are getting to be so rare, maybe they stick in peoples mind more," Mr. Hayes said. Decades ago, even major airlines might regularly suffer crashes, which is no longer the case, he said. 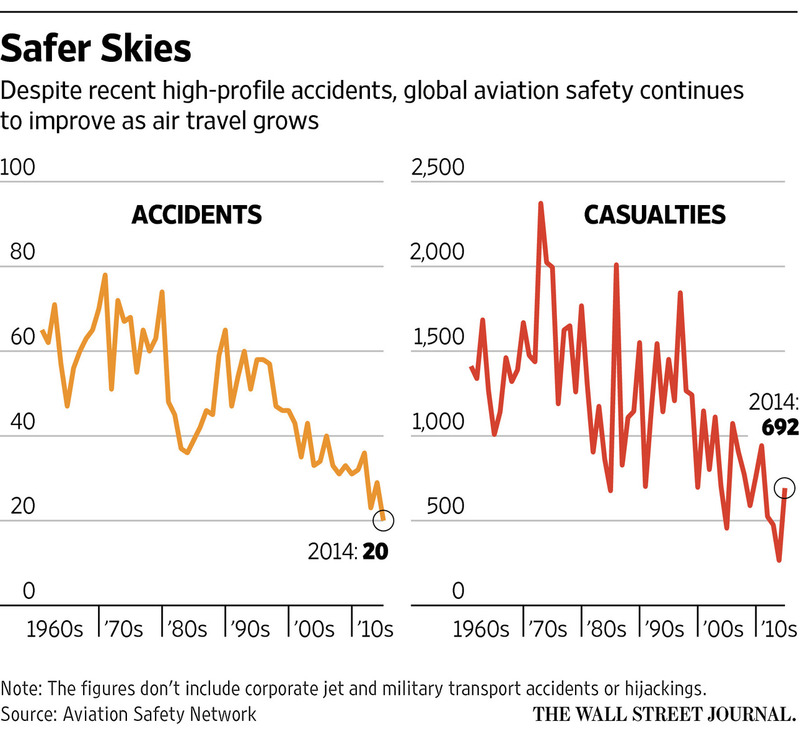 Comparing aviation safety improvements over the past four decades, Mr. Ranter said that if the accident rate of 1973-when France suffered its deadliest crash, with 346 killed on a Turkish Airlines McDonnell Douglas DC-10-was replicated in 2013, it would have amounted to a fatal air crash every 41 hours, given the vast increase in air traffic. The last major air disaster in Western Europe was a Spanair McDonnell Douglas MD-82 crash on takeoff at Madrid's Bajaras Airport in August 2008. An investigation found that the flight crew failed to extend the flaps before beginning its takeoff, depriving the jet's wings of the required lift. The accident killed 148 passengers and six crew, and injured 18 more onboard. Audio recordings recovered from the crashed Germanwings Airbus A320 suggest one pilot was outside the cockpit and unable to get back in. The safety of cockpit doors on commercial planes has been brought sharply into focus with the reports that one of the pilots on the crashed Germanwings flight may have been locked out of the flight deck. Audio recordings recovered from the Germanwings Airbus A320, which crashed on Tuesday, killing all 150 on board, suggest one pilot was outside the cockpit and unable to get back in, despite banging on the door from the outside, the New York Times has reported. A spokeswoman for Airbus said the company was aware of the report but had no information which confirmed it. She said the company would not be speculating. After the September 11 attacks, the US federal aviation authority (FAA) dramatically ramped up security on planes, and increased regulations around cockpit safety. Across the globe governments and the aviation industry made huge investments to enhance security in air travel, including strengthening doors to the cockpit. An A320 operating manual for planes used by the Royal Jordanian airline shows a forward opening door with three electric locking strikes. A locked door is opened by a flight crew inside the cockpit but can also be unlocked by cabin crew entering a keycode from the outside. Crew inside the cockpit can manually override it to keep a door locked for up to five minutes. "In the case of an electrical supply failure the door is automatically unlocked, but remains closed," reads the manual. It is equipped with a manual escape hatch but that is only accessible from the inside. Aviation expert Neil Handsford questioned the usefulness of keypad entries. "The danger of the keypad is if the hostess knows the code and someone wants to get in there ... I would think a keypad would be a breach of the international regulations," he said. "The integrity only works because the only people who can open it are the ones inside the flight deck." Protocols and standard procedures around what happens when a pilot leaves the cockpit mid-flight vary according to country and airline. A flight attendant taking the seat of an absent pilot to ensure there are always two people in the cockpit, and/or blocking access to the open door with a trolley, are often seen on US flights, but not necessarily on others, Hansford said. For instance it is not a requirement on Australian flights. Keith Tonkin, aviation expert and managing director of Aviation Projects consultancy, said the reports of the Germanwings flight are troubling in that they show "if one was outside and couldn't get back in again you would be unable to influence the outcome of flight". Questions around how many people are in the cockpit and who should be in the cockpit at all times need to be looked at, Tonkin said. "The situation raises a lot of questions and makes the processes in place seem inadequate ... if the person inside the cockpit decides to do something and prevent access by other people." Less than a month after the September 11 attacks, the FAA began publishing Special Federal Aviation Regulations "to expedite modification of cockpit doors in the US fleet". The first phase, which sought to "improve airplane security ... immediately" included steel bars and locking devices installed on doors. "The FAA determined that the security risk outweighed potential safety risks associated with the Phase I fix and granted short-term relief from certain airworthiness requirements, such as how the door performs during an unlikely rapid decompression," read a 2003 press release. Former FAA chief counsel, David Leitch, told a US law school in 2002 that doors were previously weaker because of concerns different air pressures in areas of a plane could cause it to break apart. The A320 operating manual states the door is "fully compliant with rapid decompression requirements". Aviation experts have called for the introduction of real-time tracking technology in commercial aircraft in the wake of yesterday's Germanwings crash in the French Alps, the latest in a series of high-profile air disasters. Up-to-the-minute data would allow air traffic controllers to know the exact location of aircraft and enable search and rescue teams to pinpoint crash sites, rather than relying on potentially patchy radar coverage. Such technology would not have prevented yesterday's crash, since the route had good radar coverage and contact was only lost with the aircraft shortly before the crash occurred, but it would have allowed search and rescue teams to get to the scene more quickly, and would solve the mystery surrounding planes that go missing such as Malaysia Airlines flight MH370. Germanwings Flight 4U 9525 went down between Digne and Barcelonette after losing contact with French air traffic controllers at 10:53 local time, one minute after reaching cruising altitude. The Airbus A320 plane, which was flying from Barcelona to D�sseldorf, then descended steadily for eight minutes without sending out a distress signal. All 150 passengers and crew died, including 72 German, 35 Spanish and a smaller number of British, American and Australian passengers. Philippa Oldham, head of transport at the UK Institution of Mechanical Engineers, speculates that the fatal crash could have been due to hydraulic failure, which would have left the pilot unable to control the tilting of the aircraft and unable to gain sufficient altitude to clear the mountains. At present, pilots have to send emergency signals manually in such situations. Oldham suggests that having real-time data automatically relayed could assist pilots in the future. "One of the things we don't know yet [about the Germanwings crash] is whether there was a problem which the pilot was trying to rectify and so to send an emergency signal would have taken their attention away from the problem," she says. She points out that any introduction of such technology is being delayed due to financial factors and would require an international agreement for widespread implementation. The current system is dependent on radar signals and information can be limited when a plane is flying through areas with poor radar coverage, such as mountainous or desert regions. Last March, flight MH370 disappeared en route to Beijing from Kuala Lumpur and the aircraft is yet to be found despite an ongoing search operation. Commercial aircraft currently rely on a two-tier radar system for providing location information. Land-based air traffic controllers monitor the position of aircraft, though these controllers change depending on whose airspace the plane is in and there can be a delay in the handover process. A secondary onboard radar system signals the plane's location, but this can be closed down from the cockpit. Oldham says real-time information would have drastically improved the search mission for MH370, saving time, money and grief. "This technology would have been able to track exactly where MH370 went down, making this whole scenario of finding it a lot quicker," she says. According to Chris Yates, director of UK-based aviation experts Yates Consulting, current monitoring systems are inadequate and must be updated in order to lessen the impact of future incidents similar to MH370. "Effectively we rely on age-old technology which is basically someone talking into a microphone and transmitting his precise geographical coordinates to an air traffic control centre," says Yates. As well as MH370, he cites Air France Flight 447 which went down in equatorial waters between Brazil and Africa in 2009. The plane had been flying over sea in an area beyond radar coverage and Air France took six hours to announce its loss. The first debris and bodies were not located until five days after the plane went down on June 1. Yates says that, in cases such as MH370 and Air France Flight 447, real-time information can mean locating the wreckage in a reasonable time with a chance of finding survivors. "If you have a one-minute rule [real-time data correct to one minute] then that narrows down the search area to such an extent that it can make the difference between a tens-of-miles search radius to a hundreds-of-miles search radius," he says. "This technology has profound capability and it's up to the aviation industry itself to get behind it as soon as possible." In light of MH370, the International Civil Aviation Organisation (ICAO) has sped up its consideration of real-time tracking. A high-level meeting was held in early 2014 and a task force set up to work on the issue by the ICAO and International Air Transport Association (IATA). Results of this task force were presented in February and are currently being considered by ICAO member states. An ICAO spokesperson says: "Real-time tracking was not a safety priority for aviation prior to the loss of MH370. This was mainly because our network's flights over high seas and remote airspace were already being managed safely via the existing framework of procedures, and losses such as MH370 were simply too statistically rare (essentially one every 100 million flights) to warrant priority action by ICAO's States or global airlines. This event did cause a loss of public trust in aviation safety, however, despite its unprecedented and very rare circumstances and the fact that the year it occurred in was one of the safest on record for our network." The spokesperson adds that a new 15-minute flight-tracking standard has now been agreed, which means that aircraft flying in no-radar zones have to provide regular 15-minute updates as to their position. The ICAO is also implementing a one-minute distress tracking requirement for aircraft experiencing difficulties, though this will not be adopted until next year and will not apply to new aircraft until 2021. The spokesperson also added that the ICAO is currently undertaking a tracking exercise involving more than 12 airlines which is testing flight monitoring procedures, air traffic services and search and rescue coordination.